It looks like Dumaguete is starting to embrace various culinary concepts with this restaurant in town 😀 After walking for a bit and enjoying the evening, it was time for dinner in a place that looked distinct and special. 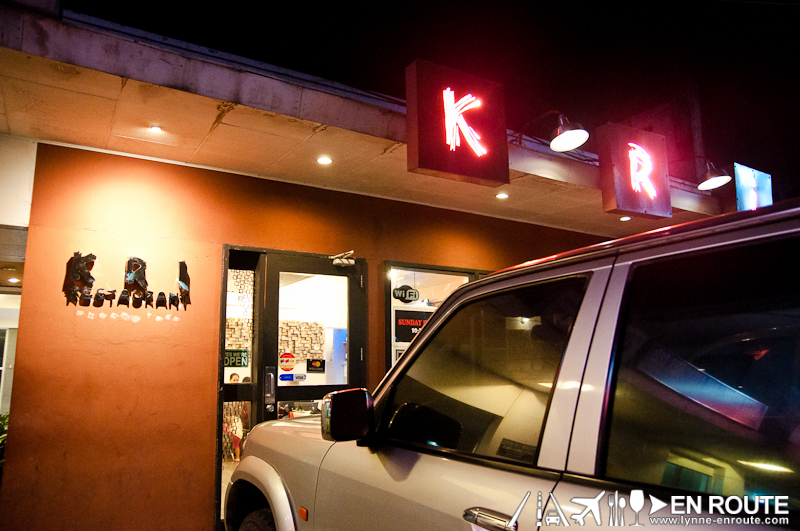 KRI Restaurant is a relatively upscale establishment with fusion cuisine that seems to be quite popular to both the adventurous and the more distinguished people in Dumaguete. And with its modern streamlined interiors mixed with basic unpolished concrete accents here and there, you can be forgiven if you feel like you stepped into a restaurant found in some of Manila’s malls. 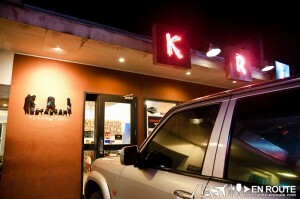 KRI’s clean lines and lighting placements are top notch. Art paintings and decorations also give the identity that this restaurant is really in the modern times. They got free Wi-Fi, too 🙂 ! It also seems to have gained recognition, with articles laminated and posted in some of the columns. Interestingly, though, the food mentioned in these articles do not seem to be in the menu. Probably changes once in a while. It was going to be a light dinner, anyway. 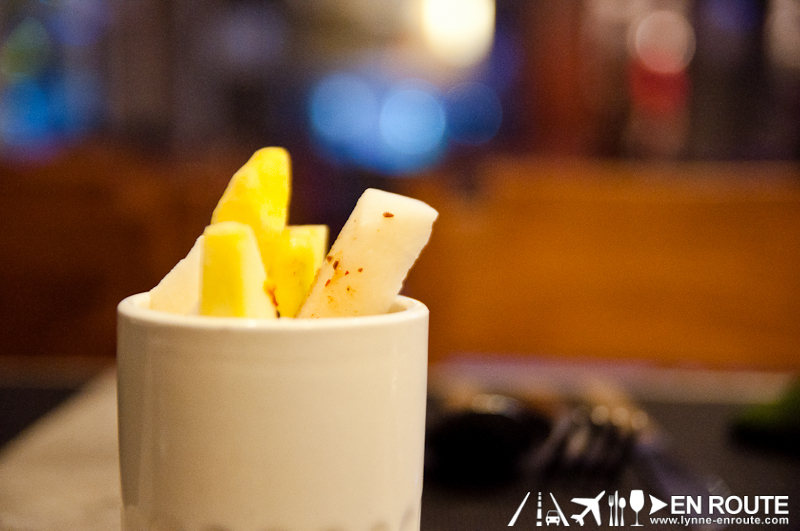 You start off with some sticks of the local yam bean/Jicama (singkamas for the locals) and green mango strips brushed with a bit of spicy chili. The chili can sure give that jumpy kick and can get people scampering for water. All is good afterwards, though, as some orders of their take on fusion cuisine shows some promise. First off were fried Maya-Maya with coconut, curry, and a combination of various vegetables (PHP 195.00). 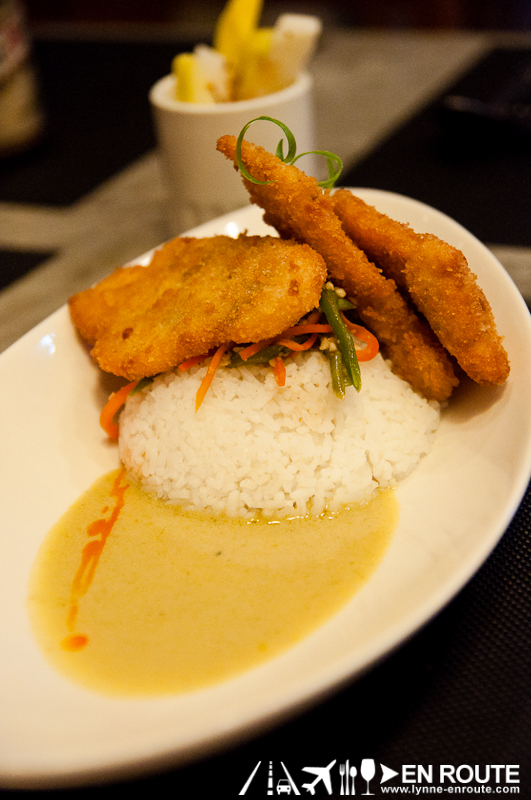 Evenly breaded and fried, and the curry will be the main star of this meal as it lends flavor into the Maya-maya. Their Chicken Yakitori over a bed of pineapple sauce (PHP 180.00) was the winner. Chicken very tender and well marinated complemented the sweet fruity sauce. It felt like something Hawaiian inspired and the play of flavors was refreshing. Other tables seemed to order it frequently, too. 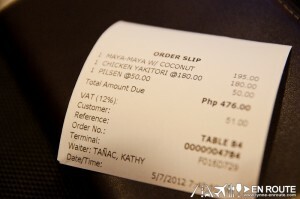 The price of the food is relatively cheap for the quality you get, but do remember it’s also because it is outside of Manila. 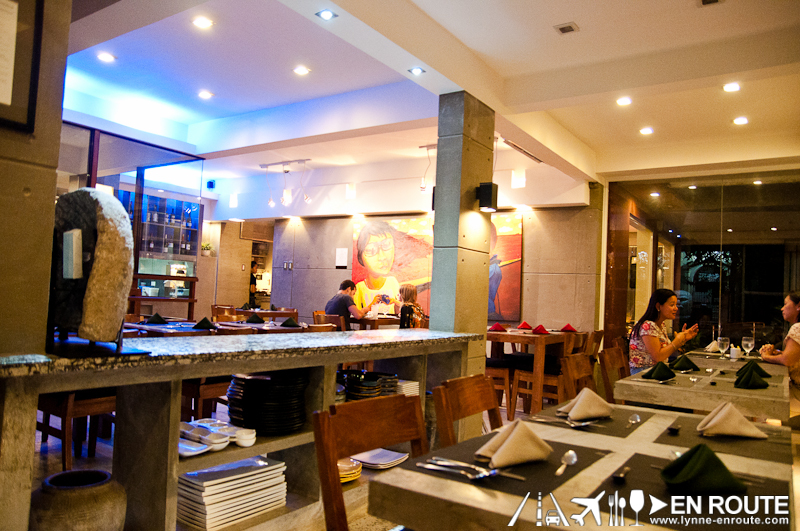 Do not miss this place out in the event you are looking for something that quite stands out in Dumaguete, and hoping that this is a sign of great gastronomy experiences to come for this city. 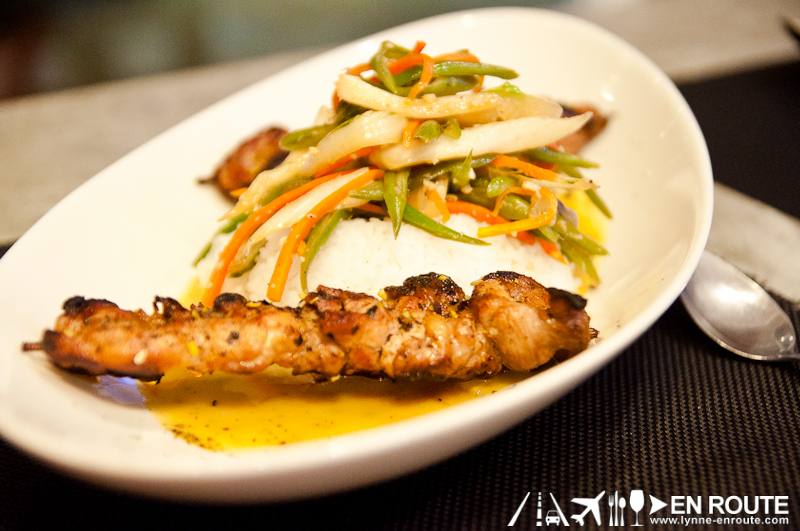 More comfortable with good ol’ Filipino cuisine?